My mom came down last week to spend time with her grandson and help me out as Alex was on a “holiday” skiing with his friends. That phrase was repeated by Zach all. weekend. long. “My Daddy is on a holiday.” “My Daddy is skiing with his friends”. Yes Zachary, I am well aware of both those facts. That is why your Granny Marsh is here, to save me from going insane this weekend. Which she did and then some. I don’t remember the last time I was so well rested going into the week!! My mom sent ahead of her 3 chairs for Zachary that are just like the ones we rented for his birthday party, which he loved. They are light enough so that he can move them around and just his right size. He was devastated when the rented ones left. It has been on my list to get him a nice set of chairs and a table that match our furniture, but due to my aforementioned condition it had fallen to the back of my list. Luckily here arrive in the mail, 3 chairs perfect for Zach and his friends. Of course he only wants to sit in the red one. He says that his cousin Baby Charlotte can sit in the blue one. But not the red one. 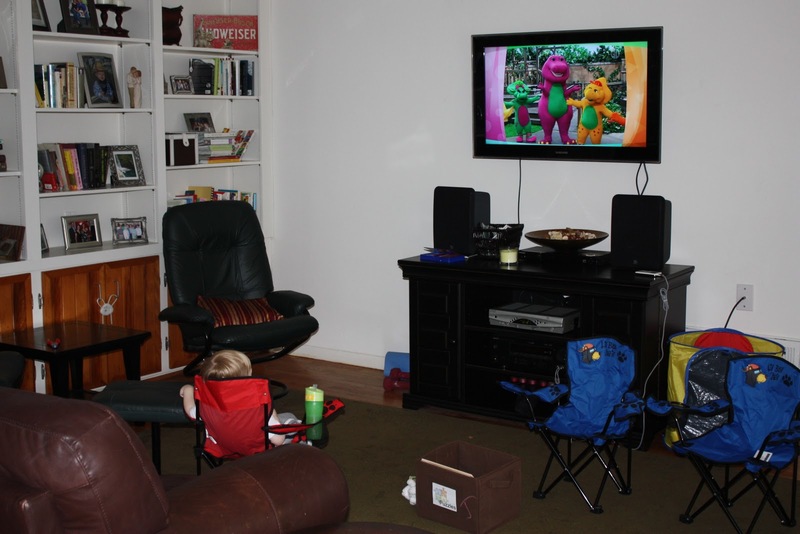 Right now he loves to sit in the chairs and watch Barney after dinner. He pulls the foot stool over and uses that for his snack. We are so classy I can barely stand it. 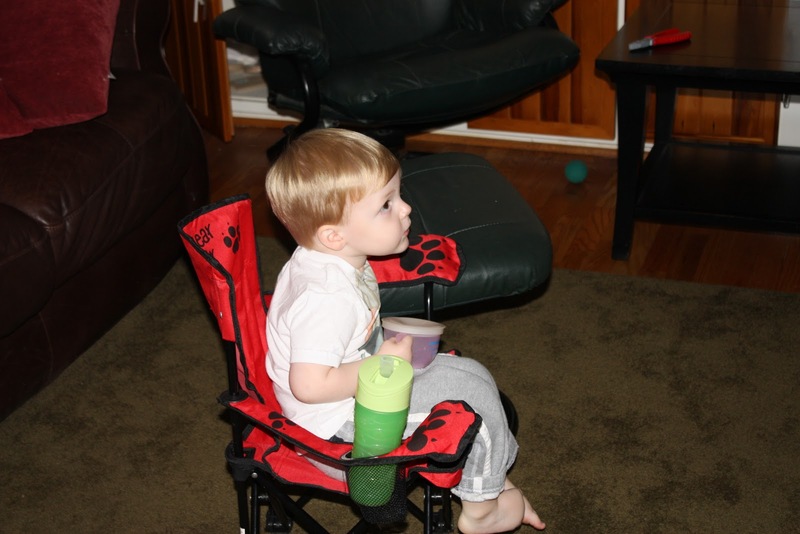 Whenever he would go “silent” when my mom was here we would find him sitting in his chair, usually with a snack and some apple juice. My favorite was when I came in and he was sitting in the red chair reading a magazine!